It looks like Apple has done it again! 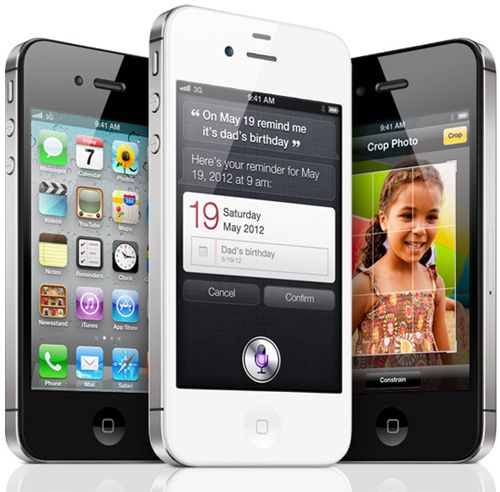 They debuted its mighty iPhone 4S on 3 major carriers and it turns out to be a mega hit instantly. Sprint is still accepting orders for the 32GB and 64GB version of the iPhone 4S whilst they have sold out all the 16GB units. Verizon and AT&T have sold out completely. Verizon shows that it plans on delivering new orders on 10/28/2011. So it seems they are still taking orders with anticipation of a quick turn around time for more iPhone 4S devices. We were unable to browse the AT&T website as it wouldn’t load up properly at our end (at the time of writing). Keeping that in mind, we can safely say that; the iPhone 4S is a hit regardless of the fact that it resembles the iPhone 4 in looks. The phone is an upgrade no matter how you look at it. Siri has the potential to be exceptionally useful specifically to those driving and more specifically; the lazy ones. The internet is a gateway to mass freedom of speech, and we witness this most anytime news is released about Apple or Android. With that said, all of the internet hate on Apple can be squashed with this fact: the iPhone 4S is a hit. Numbers don’t lie and some may not feel that this device is a worthy upgrade, the masses have spoken. Well it appears that there are a lot of loyal people C. K. Lu. I feel what C. K. Lu failed to understand is, Apple is doing a better job of bringing all of the services and products together so that they work fluidly and seamlessly. Google may have Google Music along with its cloud storage for music and its funky lil’ web-based music player, but you need that when they don’t provide an application to manage all of your media on your computer. They may also have Google Docs, but what good is that without providing me productivity software that automatically syncs all of my documents as I am creating them? It looks like another blockbuster launch for Apple, only this time with three carriers. What else can I say? Since I have been covering much of the iPhone 4S news and beginning to really see how Apple has integrated all of its products, I feel as if I am starting to convert. I have been an avid Google user from GMail to Google Chat to GCal and I use them extensively on my Android phones. Its come that time where I am starting to realize that maybe its time to experience what Apple has to offer.